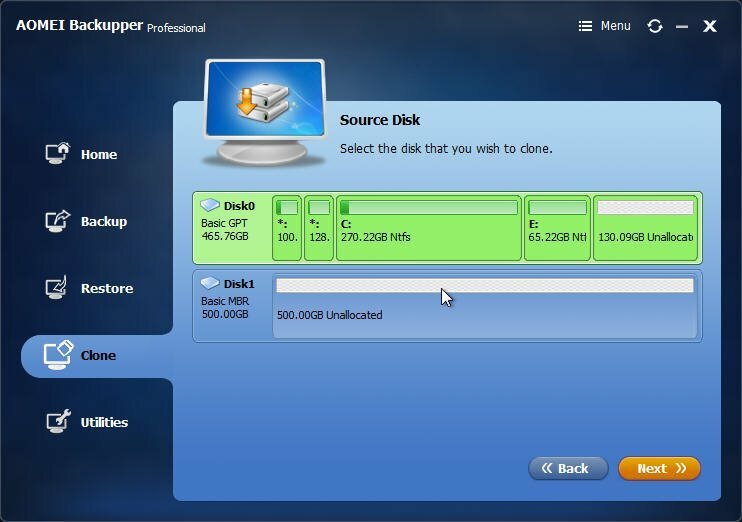 Planning to upgrade Advent laptop hard drive (HDD) to larger or smaller SSD in Windows 7/8/10? The best data migration software-AOMEI Backupper Professional will give you the best detailed instructions to realize. Why Upgrade Advent Laptop Hard Drive? Advent Computers is a computer brand produced by British company DSG Retail Limited. The products include Advent laptops, Desktop PCs and wireless printers. In fact, the Advent laptops go down well with users due to its portability and flexible for mobile working. Maybe you have an Advent Tacto, Torino X700, Torino X500, or Torino X100 laptop, whatever you have. However, you will get low disk space warning on your hard drive after a long time of use. That it means there is no enough spare time to install programs, store user’s documents and do other job quickly. Typically, the Advent laptop’s hard drive is a 320GB or 500GB platter based hard drive (HDD) to store all the content. Fortunately, the solid state drive (SSD) will resolve your problem perfectly. Thus, you will think to expand the space of your hard drive via upgrade Advent laptop hard drive to SSD, how to realize? An Advent laptop with the existing hard drive you want to upgrade. Extracting tools to replace hard drive for Advent laptop. You can buy these tools on the Internet if you don’t have one. A new larger SSD drive. A professional data migration software for advent laptop hard drive replacement. Well, a professional disk cloning software should be developed by formal professional company, and it’s worth to mention that AOMEI Backupper Professional is one of them, which is highly recommended by users. You can use the software to upgrade Advent laptop hard drive to SSD drive easily and safely. 1. In its main window, select Disk Clone at the Clone tab to do Advent laptop hard drive upgrade. 2. Pitch on the Advent laptop HDD as the source disk. 3. 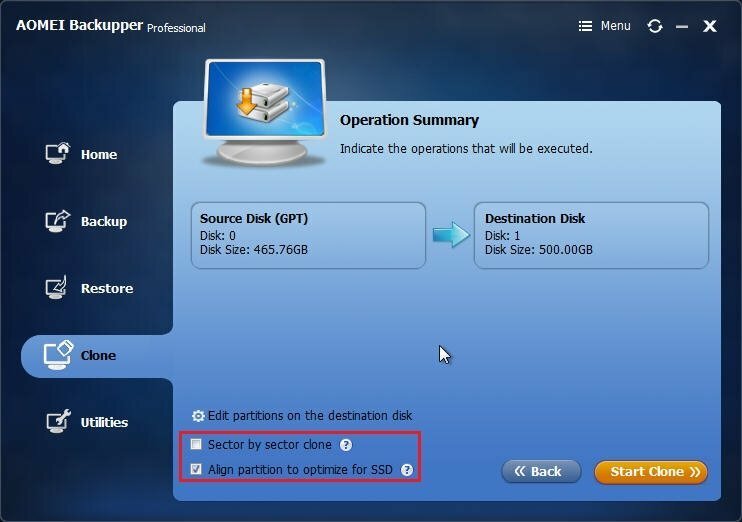 Choose the larger SSD drive as the destination location to upgrade Advent hard drive. 4. 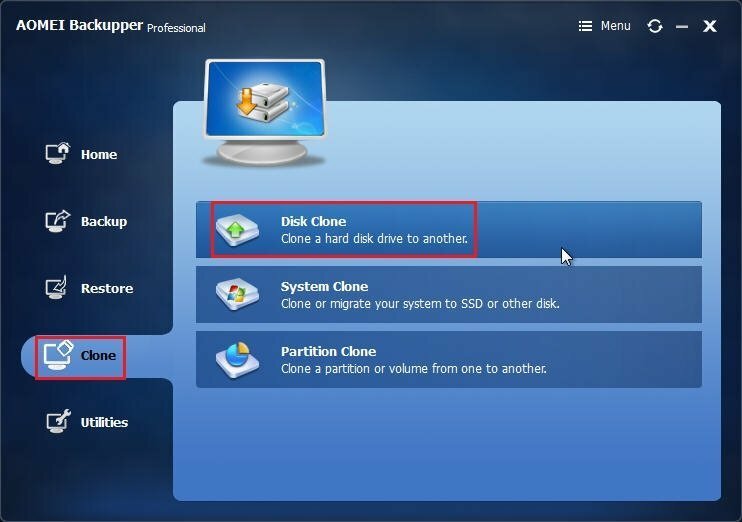 Click Start Clone to replace Advent hard drive to larger SSD after you have checked Align partition to optimize for SSD. Tips: You can also tick the Sector by sector clone to migrate all data from Advent laptop hard drive to larger SSD drive. In addition, you are endowed with these abilities via AOMEI Backupper Professional: migrate OS to SSD, real time file sync, command line clone, backup your Advent hard drive, merge backup images, and many more. On the contrary, you can try AOMEI Backupper Standard to enjoy the basic features.